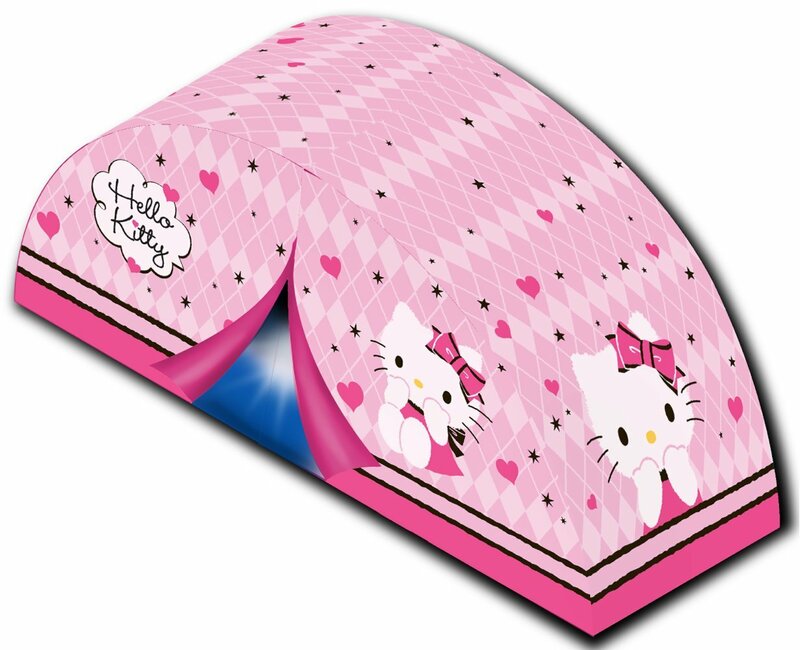 Your little girl will be delighted to fall asleep under this beautiful Hello Kitty bed tent! 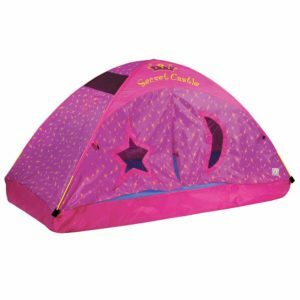 Perfectly suited to standard children’s beds, this Hello Kitty 2-in-1 bed tent makes it possible to invent incredible adventures by hiding just before sleeping. 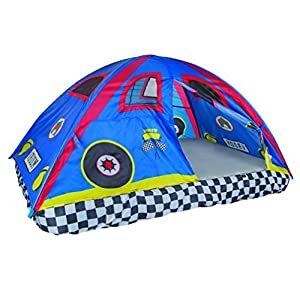 It can also settle on the ground to crawl and have fun even more below! 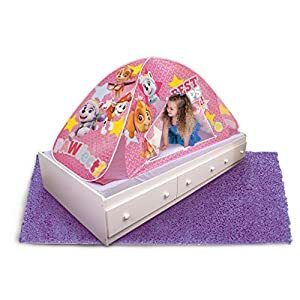 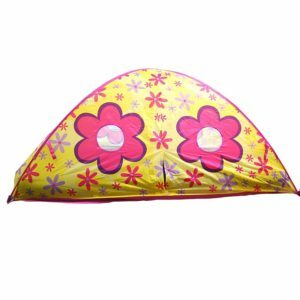 Twin-sized dimensions (72 x 35 x 35 inches) and a weight of 2.35 pounds, the Hello Kitty 2-in-1 bed tent has the feature of having a push lamp : no child will be afraid of the dark anymore now! 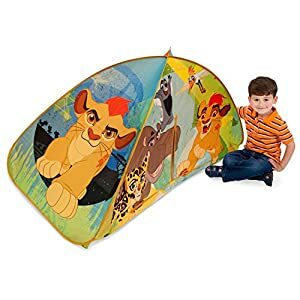 This night light judiciously added to the tent will reassure the most fearful, and add to their imagination to invent new wonderful stories. 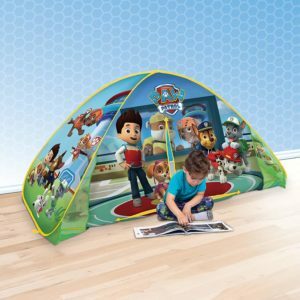 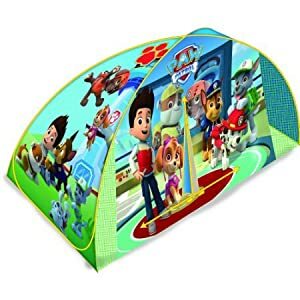 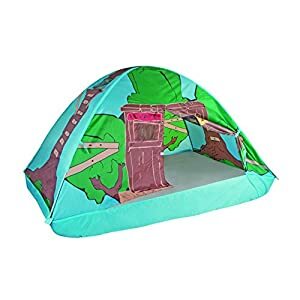 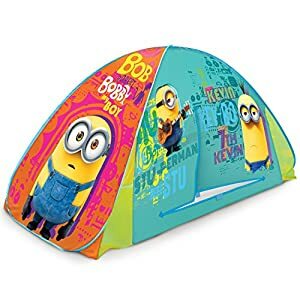 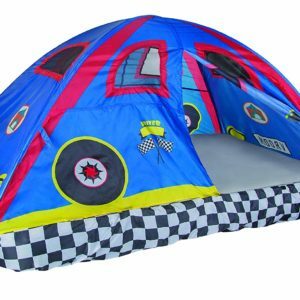 This beautifully printed indoor tent has a small, discreet mesh window for peek through fun, and fits perfectly with all EZ Twist accessories such as tunnels, teepees and other bins. 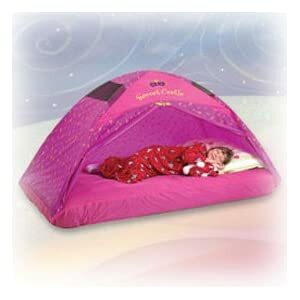 It is specially designed for children aged 3 to 5 years old.